One of the most historic holidays in the United States is Thanksgiving, it has been celebrated since 1863. A traditional thanksgiving celebration includes a large feast while surrounded by family and friends. With the iconic representation of a turkey at the dinner table. Although this holiday is centered around food and giving thanks, so many people in the United States will go hungry. On average, 48 million people, 15 million of which are children, struggle with hunger every day, and thanksgiving is no different. Nearly 3 million Veterans and their families also struggle with hunger. And in a household where you are forced to choose between food and utilities/rent it is easy to see how the Thanksgiving feast is out of the question. In the spirit of giving many businesses and soup kitchens try their best to bring food to these families. 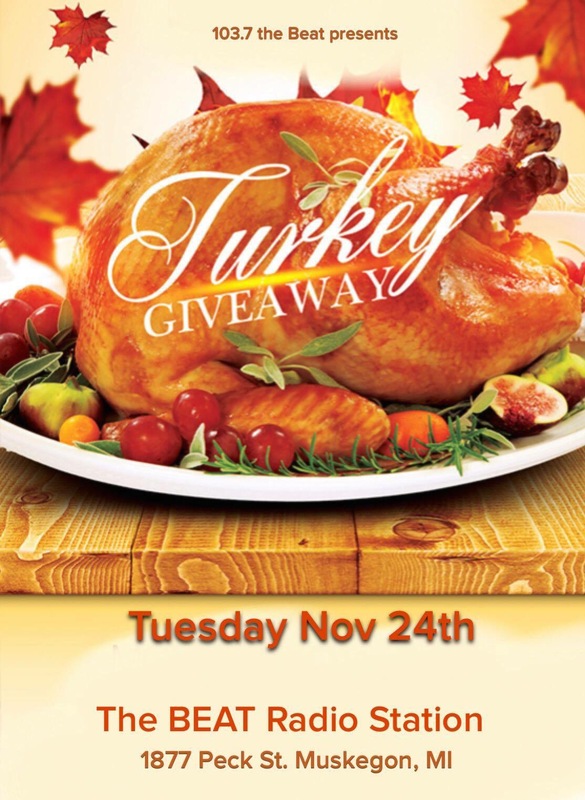 This year 103.7 the Beat radio station of Muskegon Heights Michigan celebrated their 14th annual Turkey giveaway. on Tuesday November 24th. 2015 was a big year for the annual giveaway, and may have been the biggest yet. The line was backed up to Peck street and volunteers served about 200 Turkeys to community members. Along with turkeys 103.7 also gave away canned foods, and home supplies. This event was partially funded by the November 21st Beat Awards Show.